Problems deleting a user – How can we help you today? 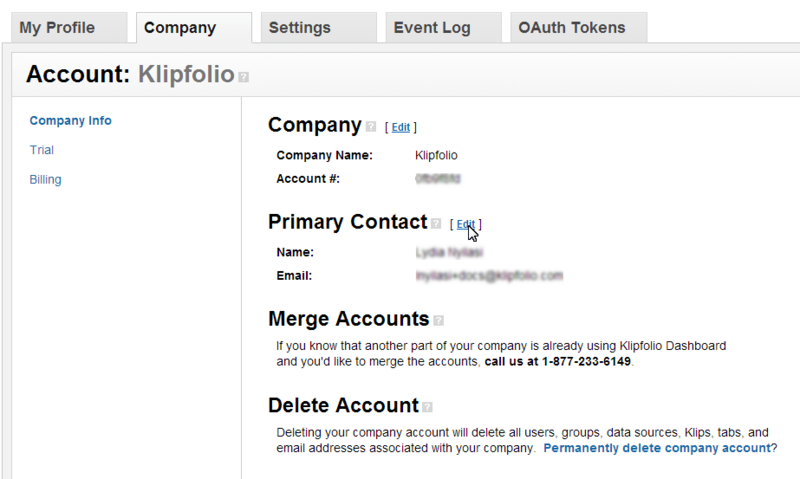 Klipfolio will not let you delete the primary contact until you have selected another user as the primary contact. To change the primary contact, do the following. In Klipfolio, select Account at the top of the page. Within Company Info, beside Primary Contact, click Edit. Select another user as the primary contact. To delete a user, do the following. In Klipfolio, select the Users link at the top of the page. Click the radio box beside the name of the user you want to delete. Result: All Klips, dashboards, and data sources of the deleted user are automatically transferred to the person deleting the account.